The Benefits of Pharmaceutical Grade Skincare! Pharmaceutical grade products are only accessible through doctors or licensed aestheticians. The reason is that these products are comprised of a larger amount of active ingredients versus over the counter (OTC) skincare products. OTC products only work on the outer most layer of skin, while pharmaceutical products are able to penetrate several layers of skin all the way to the Dermis where collagen, elastin and new skin cells are located. Active ingredients are crucial within a skincare product because that is what causes changes within your skin. OTC products are concocted to be used on anyone and everyone so they are composed of minimal amounts of active ingredients that really aid in skin care issues. “OTC products have so many fillers, parabens, dyes, and fragrances that they are most likely watered down. Look at your products, what is the first ingredient? This is what your product mostly consists of,” according to www.foreveryoungmedspa.us. The purpose of using skincare products is to achieve clear skin and get rid of unhealthy skin cells that produce pigmentation issues or uneven skin texture. Pharmaceutical grade products have the ability to do so since they penetrate through several layers of skin. Once your collagen and elastin are broken down, your skin lacks a tight and toned appearance. It is difficult to restore collagen and elastin once it has been damaged, that’s why it is a good idea to use pharmaceutical grade products every day to protect the skin you already have. 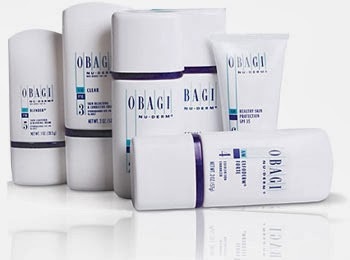 Some of the pharmaceutical grade skincare products that the Shaw Center carries are Obagi Rx Systems and M.D. Systems. These products help transform your skin for a healthier, refreshed and revitalized appearance from the skin cell to the surface. The Obagi-C Rx System provides advantages of both presciption-strength 4% hydroquinone and potent Vitamin C to counteract indications of skin damage and help restore and maintain younger-looking skin. Obagi CLENZIderm M.D. Systems are specifically formulated to work together to give optimal results. The product targets the root of acne to clear skin quickly and help maintain a clear and healthy complexion for a lifetime. Contact the Shaw Center at (480)767-1900 for more information on the skincare products we offer!